Join us as we induct Peter Boyd, Bart Bramley, Judi Radin, Patty Tucker (Blackwood Award) and Michael Seamon (von Zedtwitz Award). Curtis Cheek will receive the Sidney H. Lazard, Jr. Sportsmanship Award. Tickets: $100, $50 (Patron Members), $75 (2018 NABC winners). Sales open May 13. 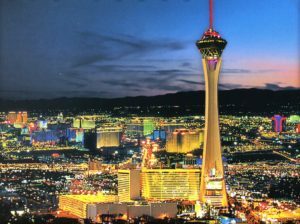 Look over Las Vegas from 1,149 feet in the air at the Stratosphere Tower. Indoor decks feature floor-to-ceiling glass, and outdoor areas are equipped with viewfinders. For an even more exhilarating experience, try the thrill rides that encircle the tower. See unparalleled views from the world’s biggest observation wheel. 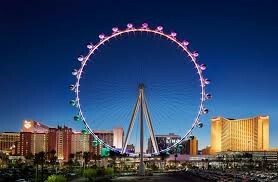 The High Roller offers unbeatable views of the dazzling city in a 30-minute ride, complete with audio commentary. Each compartment is air-conditioned and takes you a soaring 550 feet in the air. Happy Half-Hours with an open bar available. Take in the mesmerizing sight of the famous Bellagio Fountains. 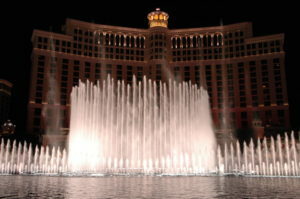 A display perfectly choreographed to opera, classical, pop and Broadway music, the fountains make for a must-see show. Performances range from the delicate and whimsical to the grand and commanding. Daytime shows occur every half hour, and evening shows are every 15 minutes until midnight. 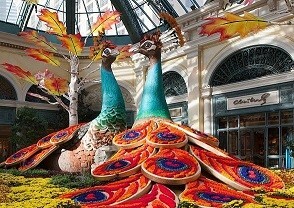 Explore the brilliant colors of flowers, trees and other plants from around the world at the Bellagio Conservatory and Botanical Gardens. The international showcase features natural finds in a 14,000-square-foot floral display for the ages. Tour the legendary Hoover Dam and take in the magnificent views of the Nevada desert. 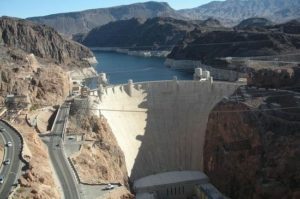 The site features a Powerplant Tour with unique exhibits and balcony views as well as an Observation Deck atop the Visitor Center providing a panorama of Lake Mead, the Colorado River and the dam. Audio presentations are available. 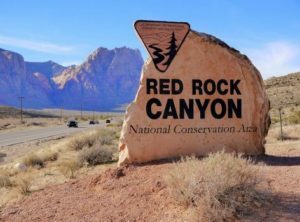 Hike, bike or drive through one of many Red Rock Canyon trails for amazing views of plants, wildlife and, of course, one-of-a-kind colorful rock formations. You’ll see the iconic rust-colored Aztec Sandstone along with red spots of iron concretions, ancient limestone and even the footsteps of dinosaurs. 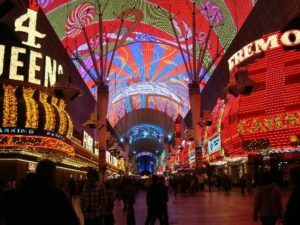 Explore the Fremont Street Experience, a unique, covered mall spanning five blocks and filled with carts, kiosks, street performers, zip lines and more. The highlight of the site is the Viva Vision Light Show. This spectacular display set to music covers the ceiling — the world’s largest video screen — at the top of the hour. Journey through the history of organized crime in America and its impact on society. 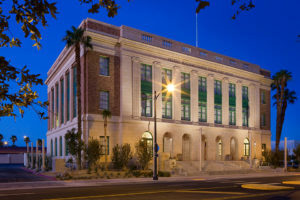 The Mob Museum features a bold, authentic view from vintage Las Vegas to the back alleys of cities around the world. See real stories through interactive exhibits and one-of-a-kind artifacts. 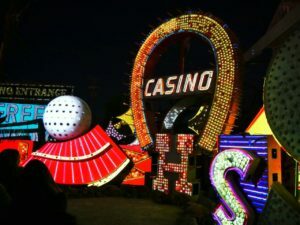 See the history of Las Vegas through neon lights at The Neon Museum. Iconic signs light the way through this unique showcase of culture, and guided tours give a deeper look into the enchanting exhibits. In recent years, Las Vegas has become renown for fine dining. If you would like to have an exquisite evening at one the Michelin restaurants or other restaurants listed below, we encourage to make reservations now. All listed restaurants take reservations online. Stunning view. Dressy. About $100. Trendy. Business casual. About $75 dinner. Trendy. Casual. About $25 lunch, about $50 dinner..
Two Michelin stars. Reservations required. Dressy. Three Michelin stars. Plan on three-hour dining experience. Reservations required. Formal. One Michelin star. Business casual. About $150. One Michelin star. Popular spot for locals and tourists. Dressy. About $150. One Michelin star. Serving lunch and dinner. Business casual. Under $100. One Michelin star. Business casual. About $100. One Michelin star. Dressy. About $150. Two Michelin stars. Artwork and views abound. Reservations required. Dressy. Click here for the most recent weather update.